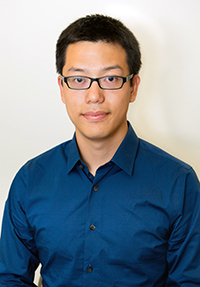 Congratulations to alumnus Haoyu Wang (EE Ph.D. 2014), who has joined Shanghai Tech University as a tenure track Assistant Professor in its School of Information Science and Technology. He has research interests in power electronics, plug electric vehicles, energy harvesting and conversion, and power management integrated circuits. At the University of Maryland, Haoyu’s advisor was Assistant Professor Alireza Khaligh (ECE/ISR), and his dissertation title was: “Highly Efficient SIC-Based Onboard Chargers for Plug-In Electric Vehicles.” He received a 2013-2014 ECE Dissertation Fellowship for his work.